Always make sure that you give enough time to plan any ancestral tour of Scotland or indeed across the wider UK. You will be amazed at the beauty of the country and will want to spend time at the places that you will fall in love with so do your research. Plan what are the iconic places to visit and try to find out about the local hidden gems. 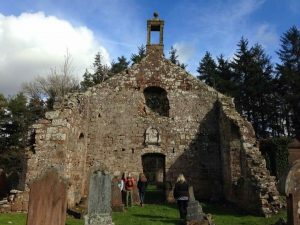 Contact Visit Scotland or highly rated tour guides such as us at Solway Tours, the only five star tour operator in Southern Scotland. You probably need at least 6 months to plan properly but getting advice can ensure you get what you want so don’t be afraid to ask! It is always a better, more successful and a more emotive visit if you have done your own research first. Ask at home, ask other family members, check those photographs and build your own family tree. If you still have family contacts back in the UK then get in touch with them! However if it is proving tricky to trace the Scottish side of your family tree then it will be best to consult the National Archives in Edinburgh or online at Scotland’s People. We also have a network of very good Regional Family History centres which can help. 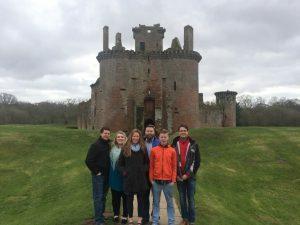 In Scotland certain tour companies specialise in bespoke and ancestral/genealogical tours and have been graded as such by Visit Scotland, the National Tourist lead organisation for Scotland. They will have a logo on their website which looks like the one highlighted and is a mark of quality. It is also best to use these organisations who will deliver a consistent high quality. Specialist ancestral companies have the knowledge of how best to support you. They also have easy access to the Records that will be required and can spend time in local Family History Centres or spend days working for you in the National Archives in Edinburgh. Most companies will have accounts there and can access other professionals who may be able to unlock certain difficult areas or stumbling blocks which can seem to be daunting to the untrained eye. Genealogical Research can be daunting and it is best to share the pain with others who may be able to provide quick solutions and answers. 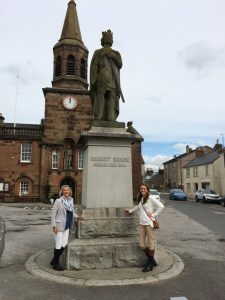 High Quality genealogists and specialists including Solway Tours will always do their own local research. They will knock on doors and ask the historians of a village or someone in the workplace where your ancestor was employed for extra nuggets of information. In many cases this is key to providing a high quality tour which really get you to the places that will mean the most to you! Take the stress away from getting to all the places you need. Contact a bespoke tour company to guide you to all the places. Make sure that they are qualified historians and check their Trip Advisor Reviews etc. Make sure that you contact them and their communications with you are of a high standard before you book a tour with them. The more you feel that the tour has been personalised and is bespoke to your needs the more confident you will be that the company has planned for you the best ancestral tour that they can. There is nothing more emotional and heart-warming than to see a visitor to Scotland who cares about their heritage and culture standing in the house, street, workplace, school etc that their ancestor used on a daily basis. 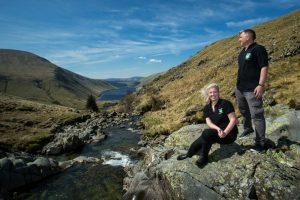 We need to understand our past to make sense of our place in the world and visiting the homelands of our ancestors is an incredibly rewarding and fulfilling thing to do. 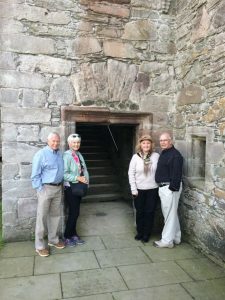 We hope that this blog helps you in your ancestral visit to Scotland or across the UK! We can be contacted at www.solwaytours.co.uk or through Facebook, Twitter or Instagram. Our email is beinspired@solwaytours.co.uk and we can be contacted by phone on 01387449104. Recently we also had the pleasure of spending the day with photographer Tom Langlands who writes for Celtic Life International magazine. 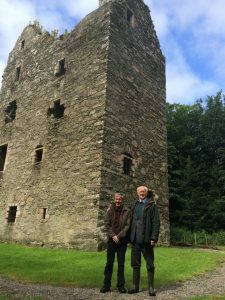 Tom wrote a fantastic article which focusses on the ancestral research we carry out for those wanting to trace their ancestral roots in Scotland and for those who lost loved ones during the First World War.